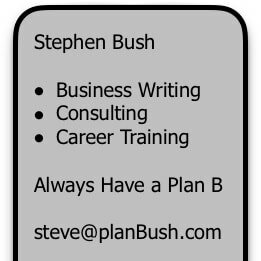 A Special Note from Stephen Bush about "Aexbush" and "Bushaex"
The search for accurate information is an ongoing activity that involves individuals and small businesses on a 24/7 basis. Stephen Bush and AEX Commercial Financing Group are committed to helping small business owners cope with confusion and uncertainty when working with banks and bankers. Financial problems can often be prevented or solved by asking the right questions. But this important step must be followed by finding the right answers. Three important words for anyone: Questions and Answers. Here is a video produced by Stephen Bush — it describes questions and answers about business writing, blogs, case studies, white papers, press releases and extended articles. Our small business finance consulting services will frequently produce improvements for business financing, commercial mortgages and working capital loans. AEX Commercial Financing Group also provides commercial bank consulting to assist business owners in obtaining a candid evaluation of current and prospective banking relationships. Our clients repeatedly tell us that one of their most disliked activities involves communicating with commercial lenders, so we are often especially productive and helpful when assisting with business lender communications. Our small business finance consulting career training programs provide individualized and specialized career training solutions for individuals interested in professional career development help to become a small business finance consultant. AEX Commercial Financing Group regular consulting fees currently range from $1500 to $5500. We have eliminated working capital loan and commercial financing fees paid to us by commercial borrowers and charge only a fixed consulting fee based on the time and effort required to help business owners. When lenders compensate AEX for our efforts in arranging business financing for a client, we share any resulting payment on a 50/50 basis with our client. AEX has also added a special small business consulting program that will have lower initial fees ranging from $300 to $900. This will allow us to provide preliminary feasibility analysis and other specific projects (such as help in determining whether a specific bank or other lender should be avoided) at a reduced cost in comparison to our regular fee structure (that will continue to range from $1500 to $5500). Fees for AEX special small business finance consulting will NOT be eligible for reimbursement if we subsequently receive compensation from lenders. AEX also provides individualized career training programs for small business finance consulting. Training fees range from $2500 to $5500. When Is a Problem Really a Serious Business Problem? Small business owners often have so many problems that they already know about that they are not about to go looking for unknown difficulties lurking in the shadows. Unfortunately, it is not unusual for one of the unknown issues to be a much more serious factor in terms of business survival than the situations that are already consuming everyone's time and energy within a company. Now that is a serious problem! Some problematic situations are in the future and are automatically placed on the classic "back burner." For example, your bank has been steadily revoking working capital loans and lines of credit throughout the area. You know this because you have heard other business owners complaining when you get together with them for coffee. But your banker has not told you that there will be any forthcoming changes to your credit facility. In fact, when you asked about what you had heard from other companies, your banker said that you should not worry. This is another serious problem waiting to happen. Small business owners are increasingly realizing just how important risk management has become for their business finance efforts. While this involves evaluating a number of complex factors that can directly (or indirectly) impact commercial financing success, AEX Commercial Financing Group has identified a core group of risk factors that are particularly essential in achieving effective risk management for commercial loans and working capital financing. Stephen Bush is the CEO/Founder of AEX Commercial Financing Group and is a small business financing expert. To learn more about his current recommendations, small business owners should contact Steve to receive a straightforward review of realistic business financing options. The process of dealing with business lenders has become more difficult for small businesses, and business bank consulting help appears to be an effective method for realizing working capital management and business loan success. Locating a qualified small business financing expert is a primary step in choosing a commercial bank consultant. The most helpful business finance consultants for this particular role are likely to be those who are especially adept at business lender negotiating. While this task is almost certain to be difficult, it must be pursued until a business owner is satisfied with their choice. 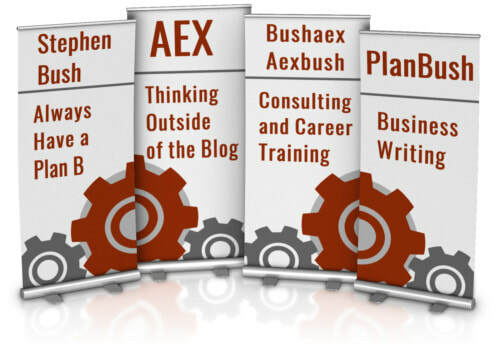 Primary services offered by Stephen Bush and AEX include business writing, consulting and career training. Steve’s business writing expertise includes inbound marketing and customer-centric sales processes. His freelance project roles often encompass business development and consulting in addition to writing. He recently produced a series of articles, presentations and videos about Thinking Outside of the Blog with content that features white papers, extended articles and case studies.